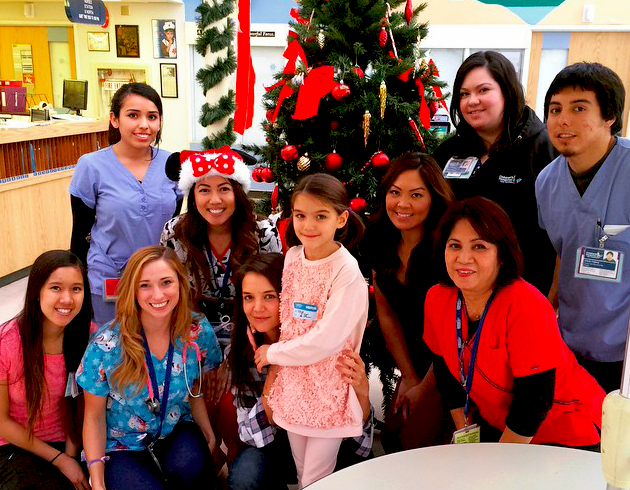 Suri Cruise and Katie visited Children's Hospital in LA, December 2014. 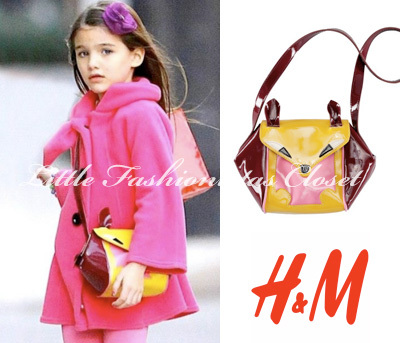 Suri Cruise was wearing Pink Lace Sweatshirt and matching Leggings from FW14 collection by Italian brand Les Princes. 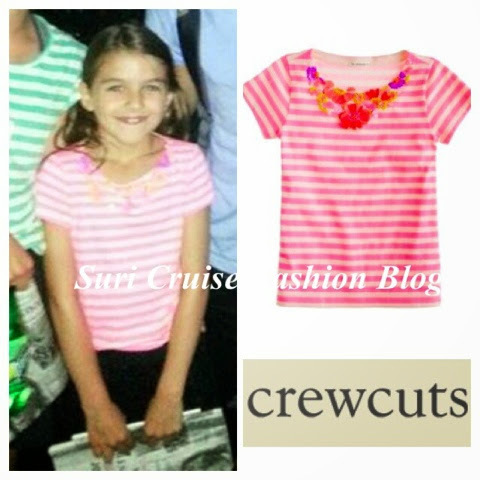 Katie shared this image with her instagram followers! 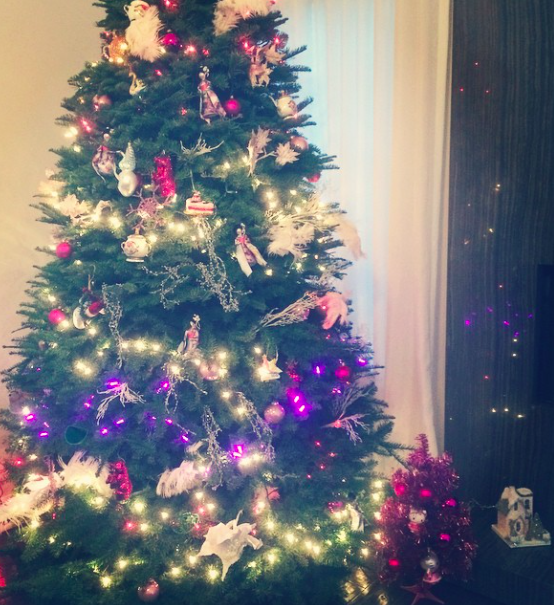 on the right is Suri's PINK Christmas Tree, which she picked herself earlier at Target, decorated with Hello Kitty ornaments! 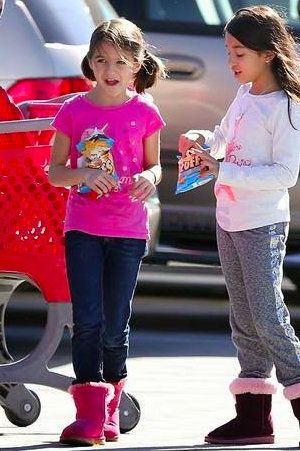 "We are getting ready for Christmas in my house," the Miss Meadows actress, told DeGeneres. 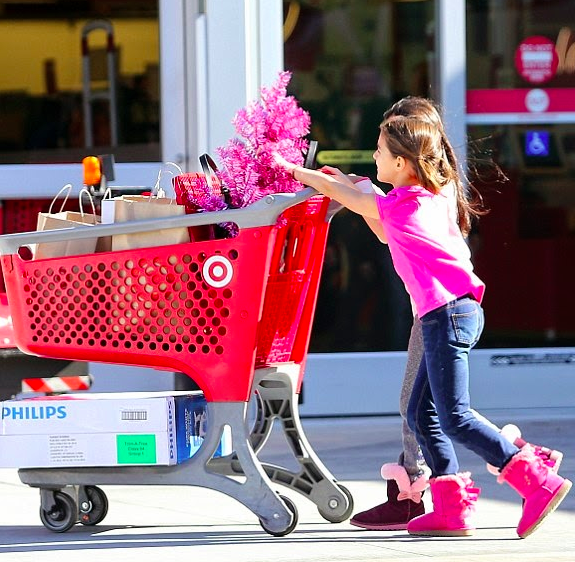 "My daughter's 8 years old, and she already has her Christmas list ready. It's written out. 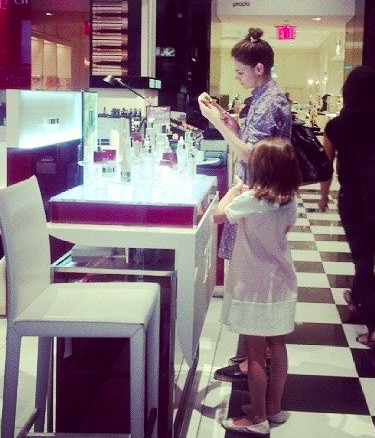 She's very organized." "She's practical, she's just very specific," Holmes replied. 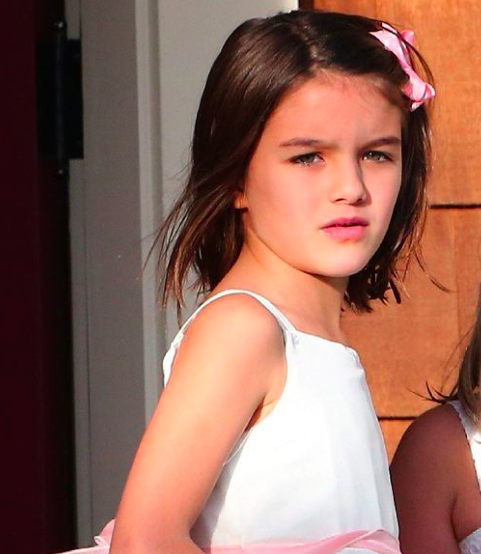 Pressed for an example, Katie said, "Like, 'I want a puppy, and then I want a pink collar that has sparkles on it that says the puppy's name. 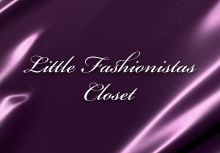 Then I want shoes for the dog...Then I want a purple clip.' 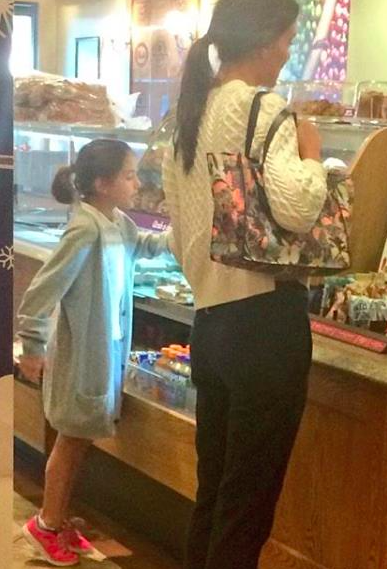 Like, it's all very detailed." 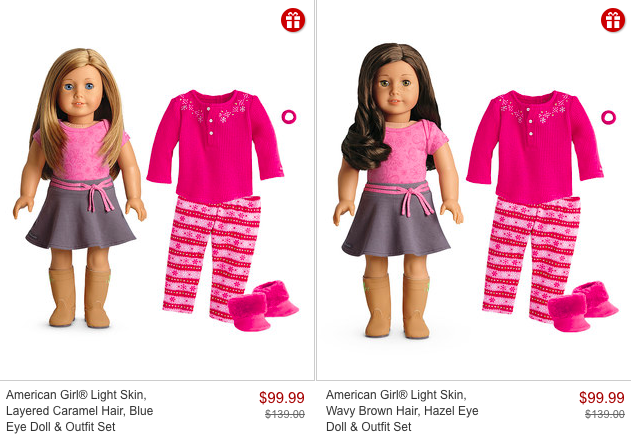 Holidays: American Girl Dolls favored by Suri on SALE Now! 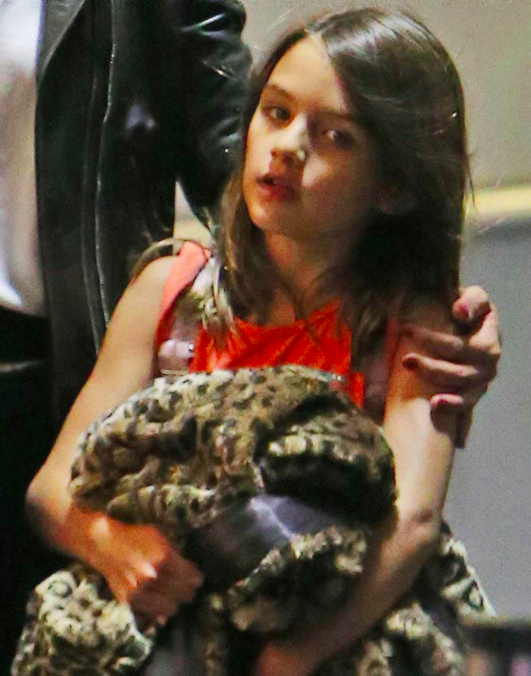 Suri Cruise spotted arriving to JFK airport in NYC on Monday, December 8th 2014.
note: any ideas on the jacket id? 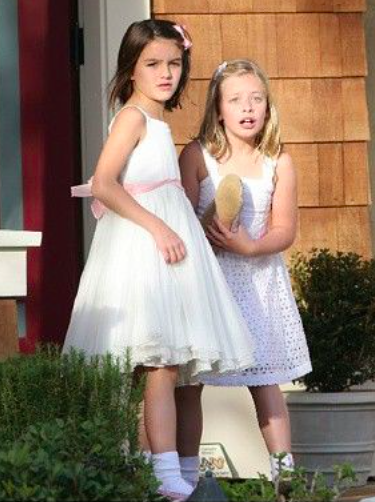 Suri Cruise & Katie spotted waiting in line for the ride at Disney California Adventure Park on October 25th 2014.
and Raphaela Flats by Bloch. 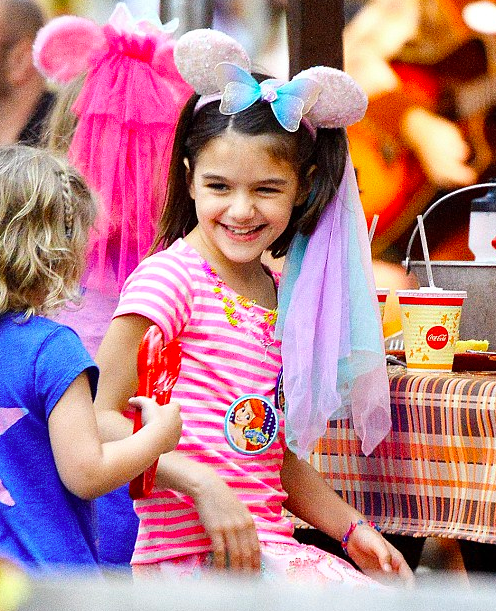 Suri Cruise went shopping at Party City store for some scary decor in time for Halloween in LA on October 19th 2014. 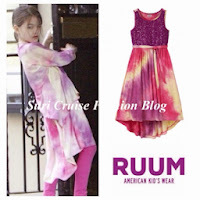 Suri was wearing Cream Crochet Shoes by TOMS. 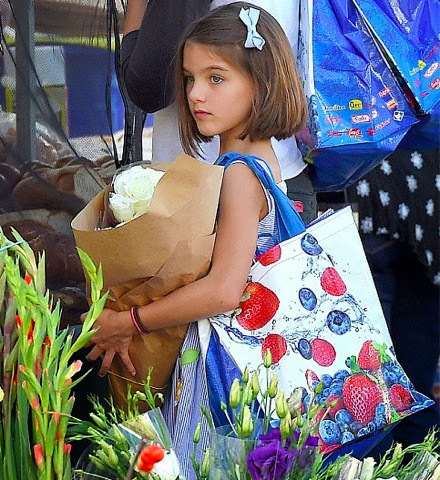 after more than a month of enjoying low profile lifestyle in LA Suri Cruise was finally spotted shopping at Farmer's Market on October 11th 2014. Suri showed of her new short hairstyle! 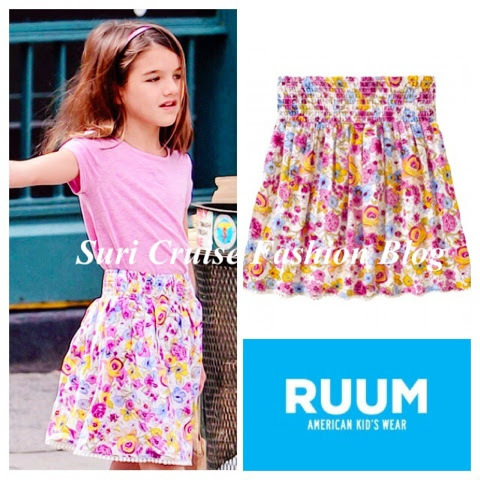 Suri was wearing Seersucker Flower Pot Dress SS14 by Florence Eiseman and Liberty Print Shoes by Crewcuts.